AquaMorph Productions is a stop motion studio who specializes in brickfilming(stop motion with LEGO). We consist of two members, Christian Colglazier and Carl Colglazier. 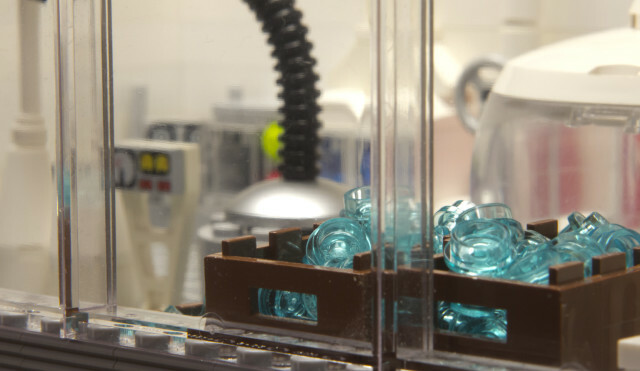 Our first brickfilm was called LEGO City: The Grand Escape and was created in the summer of 2009. The film was created as something to do to drive away boredom and was shot with no storyline at all. The story for the film was created halfway through filming. Some shots were added to the beginning to make the film make sense. Since then we have continued to improve. With stop motion the more you practice the better you become at it. After feeling confident enough that we understood enough about brickfilming, we started doing video tutorials on brickfilming. These tutorials led to a brickfilm class taught by Christian Colglazier. In June 2011, AquaMorph Production’s was accepted into the YouTube Partnership Program. That same year Carl Colglazier won C-SPAN’s StudentCam Documentory Contest. We continue to create brickfilms for YouTube and are currently working on a brickfilming tutorial series. If you have any questions are inquiries you would like to make feel free to use the contact us section and we will try to get back to you as quickly as possible.